I had the most wonderful surprise this morning! 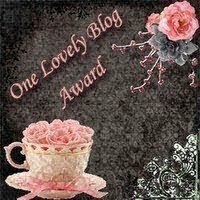 Bonnie Klass honored me with the One Lovely Blog Award. How sweet is that?! Now the pressure is really on . . . to live up to that. Thank you Bonnie. 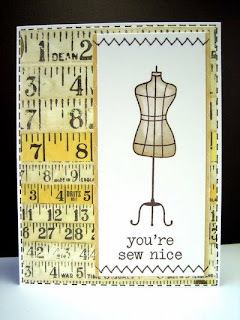 I love the measuring tape behind the dress form! Nice card!